Get a Trashbag and Some Lipgloss. You're Going to a Recycling Party! Hungry Man TV is throwing an RSVP-only party for Internet Week, NY. The theme is "Out with the Old." Attendees are encouraged to bring old mobile phones, mp3 players, digicams and other electronics for recycling. Nifty idea. And come on, it's not like museums are falling all over themselves to pay for your mint-condition sports WalkMan. And the Awards Show Pinata Explodes Again! If after a panoply of awards shows you are still not sure which ads were best, below are the agencies, clients and campaigns that received a Gold or above in Clio's Television/Cinema/Digital, Interactive, Technique and Radio categories. Occasionally, important events present themselves which call for the entire advertising industry to band together as one unstoppable force with the sole mission of advancing a worthy cause and doing good for all human kind. One such event has presented itself today requires our complete attention and participation. What is this important cause? Why the voting for Barbarian Group's own Eva McCloskey as Boston Magazine's Most Wanted Single, of course! What? Did you think we as an industry were going to participate in that Cannes Humanitarian Lion thing and solve all the world's ills? Of course not. That's way too much work. A simple hottie contest is much more our style so please, do your part. Vote for Eva and represent! The 49th annual Clios took place in South Beach over the weekend. 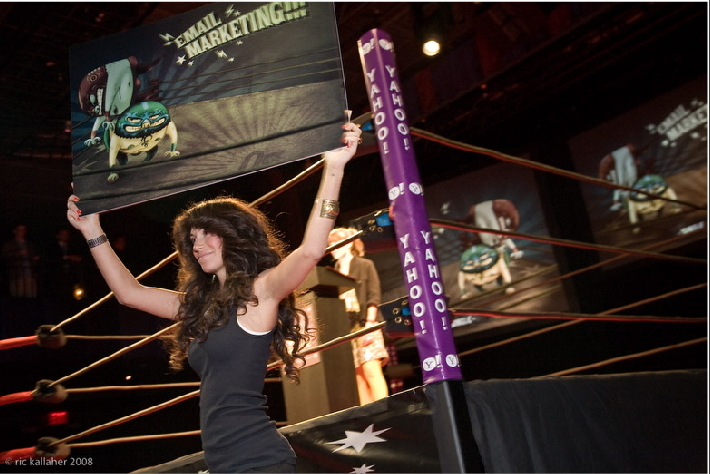 Content & Contact, Integrated Campaign, Innovative Media, Print and Design were recognized at the Fillmore in Jackie Gleason Theatre on Friday. Ogilvy & Mather received the highest number of Gold Clios -- ironic, considering its founder was so resentful of award shows: three for Frankfurt and two for New York; followed closely by BBDO Worldwide (four Golds) and DDB Worldwide (also four). Gold winners and "Best in Show" appear below. - A less than mildly amusing commercial touts the ability of the Nokia N95 8GB's GPS abilities to help a hapless magician find his way home after he makes himself disappear. - Adidas and Diesel have hooked up for a brand mashup that encourages..."83 ways to successfully waste your time. -The Art Directors Club has opened the call for entries for its Young Guns 6 Awards. - Jim Beam's got a new campaign called The Stuff Inside. There's a new site and print ads will roll out mid-June. 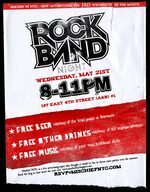 At Adrants, we love a good party so that's why we're hooking up with Mischief NYC, a group of New York ad people - Fuel Industries' Sean MacPhedran, Oddcasts's Emily Twomey and Desedo's Michael Hastings, who will be hosting a Rock Band Night the 3rd Wednesday of each month throughout the summer. The first event takes place next Wednesday, May 21 from 8-11P at 197 East 4th Street, the home of the President of Oddcast. Future parties will be held in actual bars but this apartment, which used to be a nightclub, is huge so there will be room for everyone. 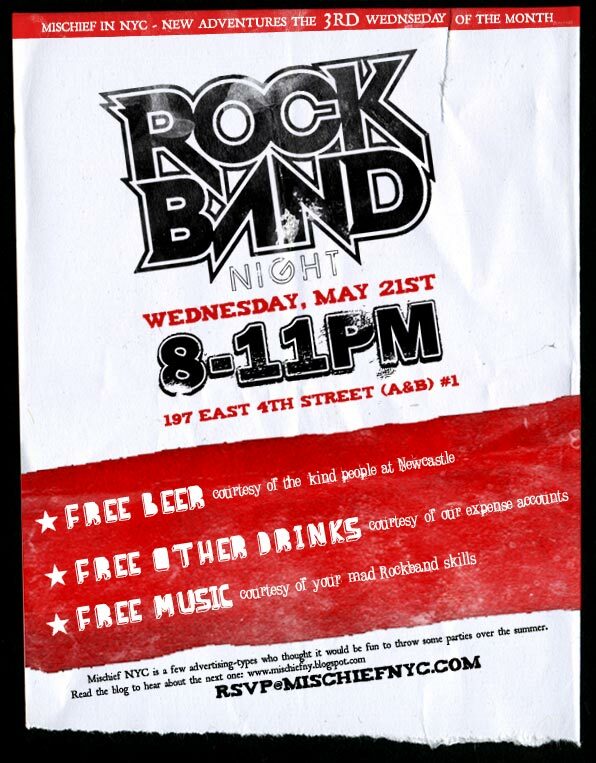 The will be free beer courtesy of Newcastle, free mixed drinks courtesy of the host's expense account and free music courtesy of your very own Rockband skills. Check out the details on the blog and the invite here. You must RSVP to attend. Hmm. Apparently we don't need awards shows any more. This "spycam" video catches famed UK creatives BBH's Rosie Arnold, TBWA's Steve Henry, BBH's Sir John Hegarty, M&C Saatchi's Tiger Savage and others shopping the Berwick Street Market in Soho, London for their own D&AD Pencils. Ah ha. So that's how so many awards find their way to the shelves of creative's offices the world over. About a week ago, a video appeared on YouTube that advocates the creation of the Cannes Humanitarian Lion, an award honoring the agency which submitted the best idea and action plan to solve one of several pre-determined worldwide humanitarian issues. Each agency that submitted work to Cannes for any category would be required to also provide one Humanitarian Lion idea. Finalists would then be selected and have until the next year's Festival to execute the work at which time the work would be judged and the winner awarded the Humanitarian Lion. When I was told I'd get ringside seats at One Show Interactive Ceremony on Friday night, I didn't realize they actually meant ringside. There was also some Pulp Fiction-style Meet the Gimp action. On Wednesday at the One Show Festival, design guru Brian Collins illustrated the power of branding with a history lesson about pirates. Or rather, just their flag. Back in 1748, if you had the misfortune of being a single bobbing ship at sea when a tattered vessel with a skull and crossbones crossed your path, you knew instantly what to expect.